Forgive me, but don’t stop Bohemian Rhapsody now. 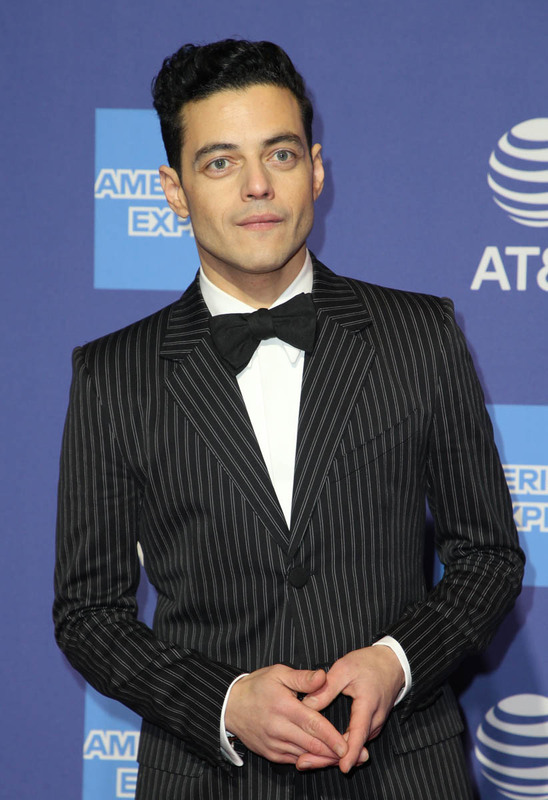 The movie’s made over $714 million worldwide as of this writing, and Rami Malek is the face of not just the film, but the campaign. And when he accepted the Breakthrough Performance Award last night in Palm Springs, his speech seemed like a dress rehearsal for what’s ahead. 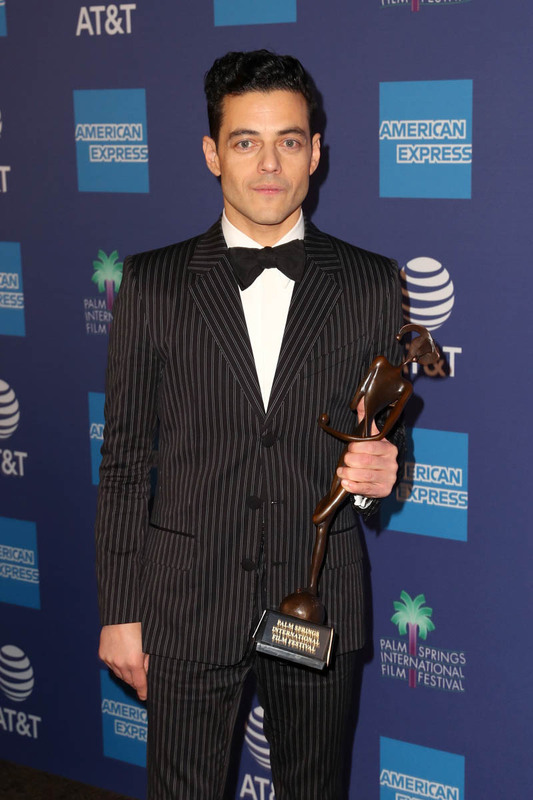 To my knowledge, this is the first time Rami has been publicly recognized for his transformative turn as Freddie Mercury. As for what’s ahead… well, he just might win this weekend at the Globes. 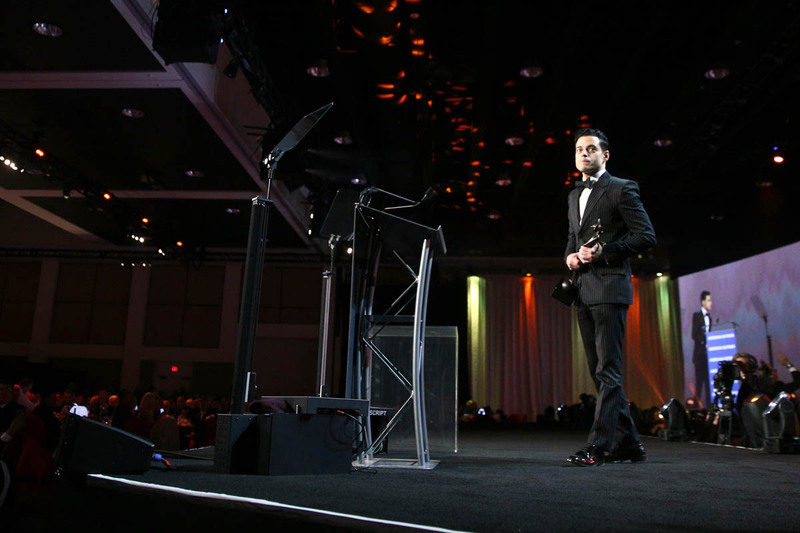 Variety selected Rami as their likely winner and judging from the audience reaction from the Palm Springs crowd — which includes a lot of Academy voters and demographics that seemingly also reflect the HFPA pool — this could very well be his first speech of many. Everything starts around the 43:20 mark on the livestream, which only about 100 unapologetic film nerds (me being one of them) were watching live last night. Let’s break it down. First, he’s doing everything right. He appears grateful, with wide eyes and enthusiasm. In other words, this isn’t Pete Davidson’s dry, deadpan “super high energy” impression of him. Tangent, but Rami’s a big Pete fan. @petedavidson And people love me on SNL. Too funny! Would be so cool for you to play Elliot one Saturday night. Big fans at #MrRobot. Anyway. 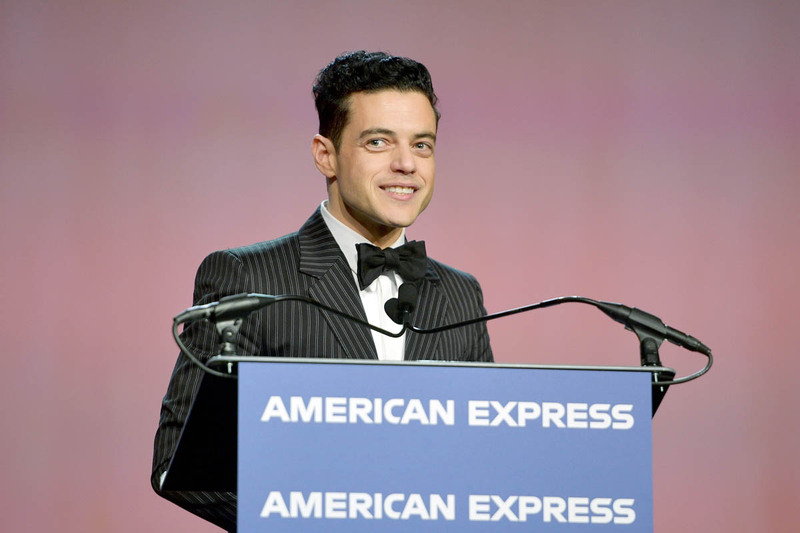 Rami says he’s “proud to be here,” really honoured to be there, and credits his performance to the “marriage of collaborative efforts.” The credit first goes to his producer Graham King and the studio, 20th Century Fox and Regency Enterprises, for continuing on during difficult times, which you know, included firing director Bryan Singer after his reported bad behaviour on-set. There was no explicit shout out to Dexter Fletcher, the director who took over in Singer’s absence, but remained uncredited on the film due to DGA regulations. “I’m here because there's an immigrant who took it upon himself to push himself in the most extraordinary way - he's bisexual, gay, moved from Zanzibar to London like a fish out of water and stepped on that stage and told people they could be exactly who they want to be. ... This is because of... and for, Freddie Mercury." What he’s doing here, without a time limit that you would have at the Globes, or Oscars, is he’s covering all of his bases, and creating an attractive series of Oscar narratives for himself and the film. And the options are very appealing for voters. 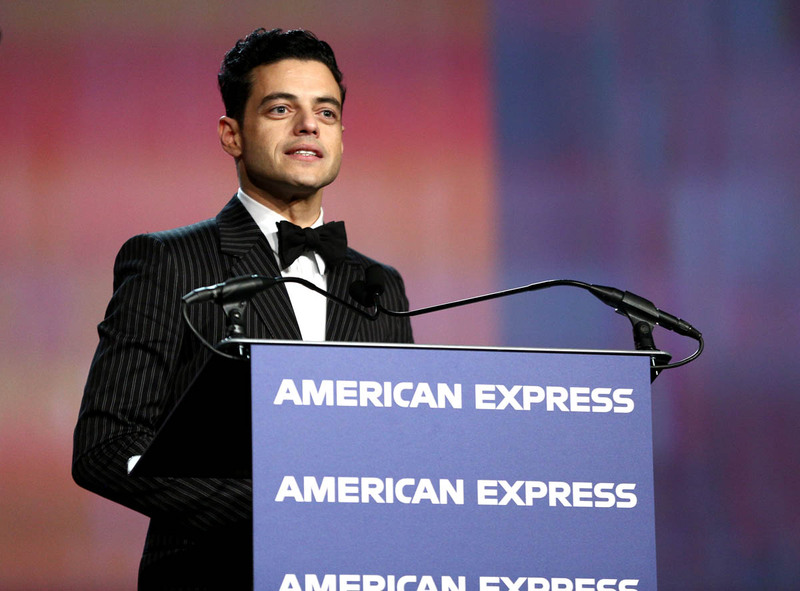 If you recognize Rami (not the troubling aspects of the film but singling out his performance), you’re not just recognizing his work, but also an immigrant story in Freddie, and you’re acknowledging a tumultuous showbiz behind-the-scenes story, struggle, and eventual major triumph, the highs and lows of a production gone wrong, only to become one of the year’s biggest hits – comparable, perhaps, to the turn Titanic made from production delays (albeit for different reasons, of course) and rising budgets to undeniable success. 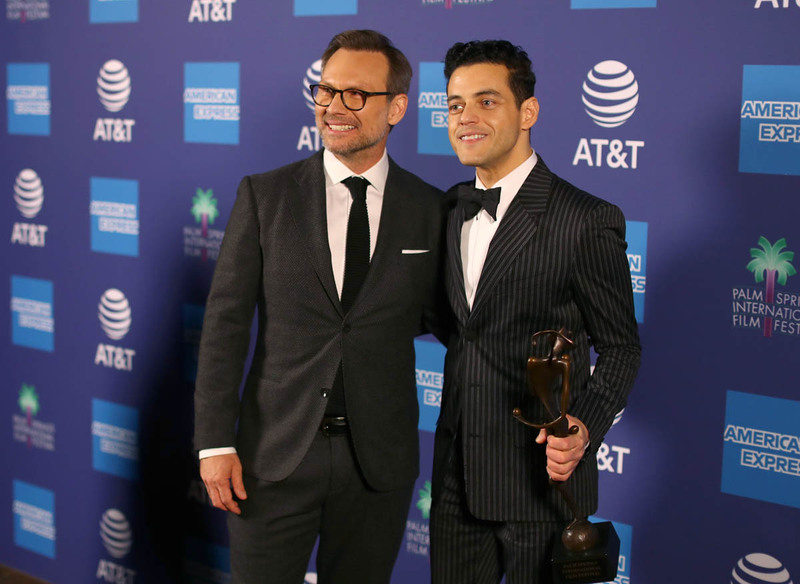 Rami’s Palm Springs speech was so impactful, that his Best Actor competitor Bradley Cooper briefly namedropped him in his Director of the Year acceptance speech. In November, Lainey asked if Rami could challenge Bradley on the campaign front. 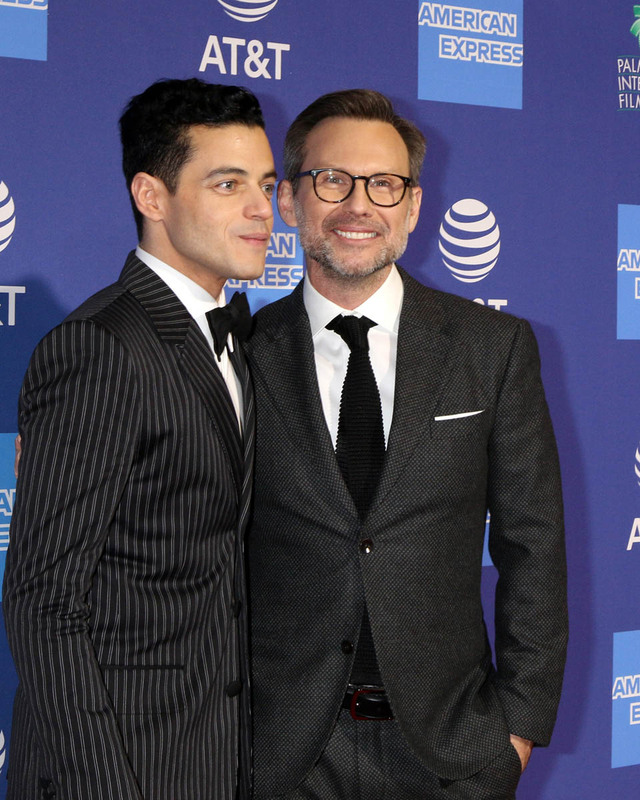 He may not be as popular as Bradley Cooper, or the Blunt-Krasinski team, from the point of view of public famous friend support and endorsements, but he’s leaning on his bromance strengths with people like Christian Slater, his Mr. Robot co-star, and winning over the right crowds. 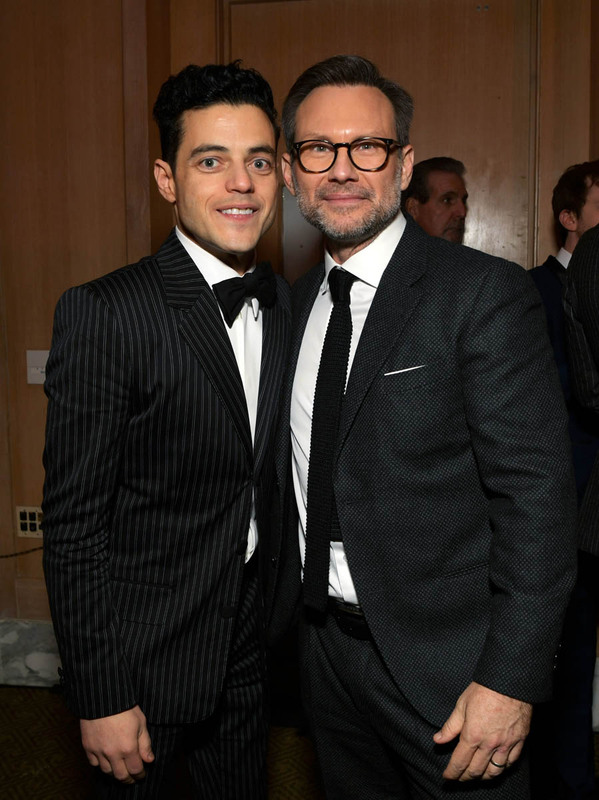 Rami’s stock is rising. An Oscar nomination looks like a given, a win is possible. And now we know what he’s leaning into for his probable speech. Don’t discount a Best Picture nomination either…. because after the SAG ensemble nomination, guess what movie is getting a digital release on Oscar nomination day?